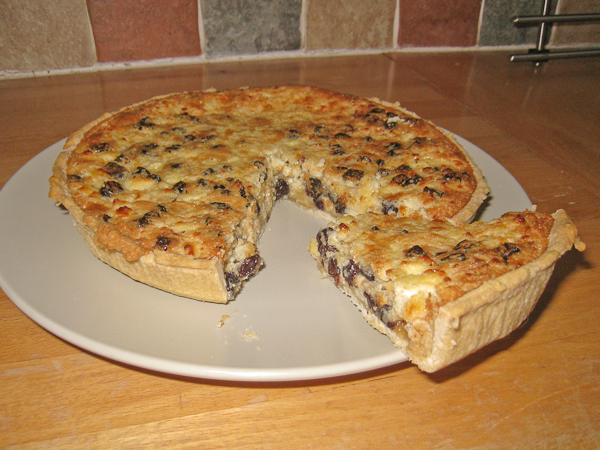 I always make my curd tarts in an 8″ disposable foil pie tray. It’s the perfect depth – all my “proper” tins are too high. 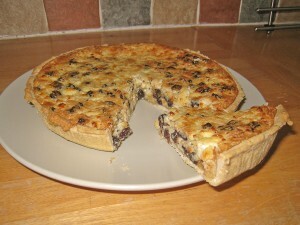 Firstly, you need to make a pastry base. This is just a basic shortcrust pastry recipe so if you have your own preferred recipe, simply use that instead. I use a food processor as it is much quicker and you can use cold butter so you don’t have to remember to take it out of the fridge! I apologise for the the ingredients being in oz’s, I find it’s much easier to work out pastry quantities using oz’s. 6oz is about 170g and 3oz is about 85g. 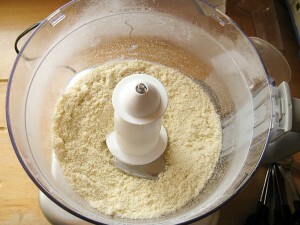 Place the butter and flour into a food processor and pulse until it resembles fine breadcrumbs. 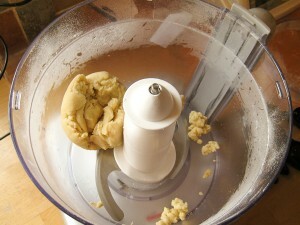 Next, with the food processor running, slowly dribble in the cold water until it starts coming together. Keep the food processor running until the pastry forms into a rough ball. Don’t over process, it should only take a minute or so. 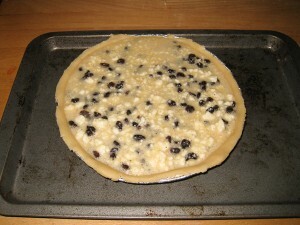 Now you have the pastry made, it’s onto the filling. If you are feeling adventurous, you can make your own curds (The Hairy Bikers have a good recipe for making your own) but I tend to buy bags of frozen curds from my local farm shop and defrost them the day before. Pre-heat the oven to 180C (Fan oven). 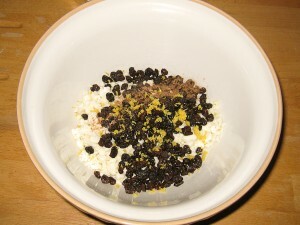 In a large mixing bowl, mix together the curds, currants, nutmeg and lemon zest. 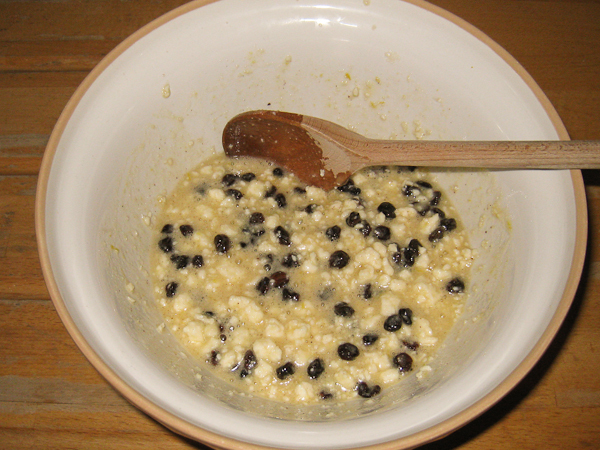 In a small bowl, gently beat the eggs. Add the beaten eggs, sugar and butter to the large mixing bowl and mix well. 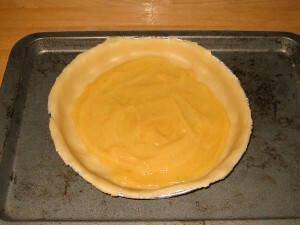 Place 2tbsp of lemon curd on the pastry in the tin and spread out to make an even layer. Pour the mixture on top of the lemon curd. 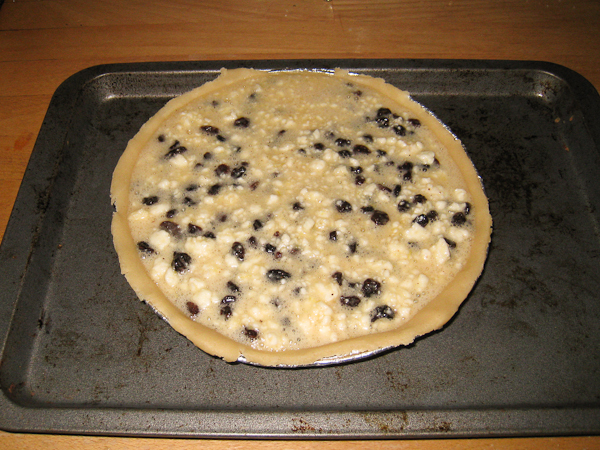 Place in the oven and bake for about 35 minutes, turning it round after about 20 minutes. 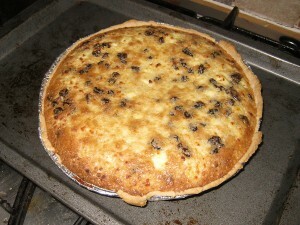 When it’s cooked it should have a lightly browned top and be firm to the touch. Some people like to eat their curd tarts warm, however, I prefer mine cold so once it has cooled completely place it into the fridge. For the Lemon curd, you could either make your own, or you could buy a jar and use the rest on your toast or make a Lemon Drizzle cake! In keeping with the “Best of British” Yorkshire theme, I used the simply gorgeous Lemon Curd from Wolds Cottage Kitchen. 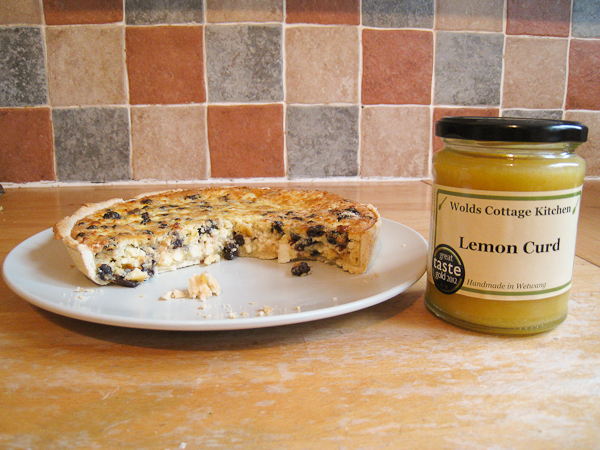 At this point I must declare an interest as Wolds Cottage Kitchen is my wife’s company and obviously I am going to say it’s the best Lemon Curd ever! However, don’t just take my word for it, she has just been awarded 2 Gold Stars for it in the prestigious 2012 Great Taste Awards. 2 Gold starts are only awarded to products which they describe as “Flawless”! This entry was posted on Monday, August 20th, 2012 at 11:43 amand is filed under . You can follow any responses to this entry through the RSS 2.0 feed. You can skip to the end and leave a response. Pinging is currently not allowed. Congratulations to your wife on getting the recognition for her lemon curd. Your curd tart recipe looks really good and I love the idea of a thin lemon curd layer on the base. Looks lovely! good luck with the best of british challenge – and your wife’s business of course, though it sounds like she has enough talent not to need too much luck!